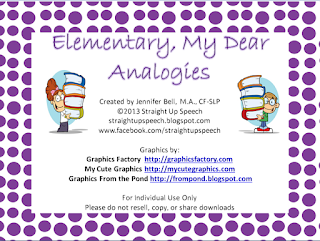 It’s DAY 27 of my Birthday Month Giveaways and I am raffling off a giveaway by Straight Up Speech, which is Elementary, My Dear Analogies. This adorable 12-page critical thinking packet targets early analogies and uses child-friendly graphics to engage students in filling-in-the missing answers. Targeting receptive language skills: Students will read along or listen to analogy pairs read by clinician and select/point to the word that best completes the second analogy. Targeting expressive language skills: Students will read along or listen to analogy pairs read by clinician and name the missing word that best completes the second analogy. You can find this product in Straight Up Speech TPT store by clicking HERE or you can enter my giveaway for a chance to win. I would love to have this to use with my kids! I am in need of an analogy product and this one sounds great! Thanks for sharing and the giveaway opportunity! Analogies are such a great way to target vocabulary, especially with upper elementary and older. This would be a fun activity! Upper elementaty, middle school, and even some higher schoolers. 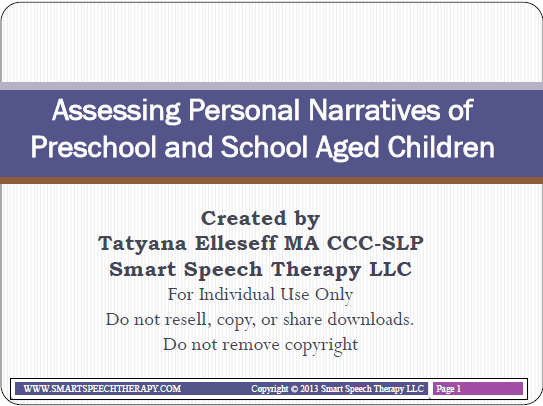 Would love the theme and need work on higher cognitive skills.